The geopolitical template of the entire European Union is undergoing one of its most profound changes since the collapse of the Soviet Union more than twenty-five years ago. 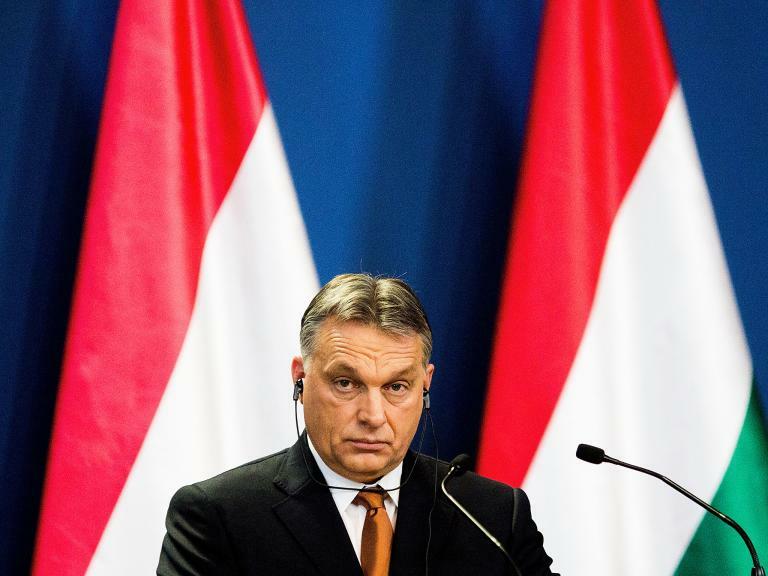 At the June 30 meeting in Ankara of the Turkish-Hungarian Business Forum Hungary’s Prime Minister Viktor Orbán stated that Hungary “stands by its friends” and it is on Turkey’s side in its current war of words with the European Union. The Hungarian Prime Minister also praised Turkey’s role in preventing a huge further refugee flow into the EU, noting that “Without Turkey Europe would have been flooded with many millions of immigrants,” stating that for this Turkey “deserves respect.” Behind the comments, calculated to enrage the EU and its unelected, faceless bureaucrats, stands far more than the issue of refugees and rights of national sovereignty. There’s a major tectonic shift underway not only in Hungary but also across the entire Balkans. The shift involves Erdogan’s Turkey and also Putin’s Russia. The outlines of a new Balkans geopolitics are emerging and it’s opening huge fault-lines within the EU between die-hard NATO Atlanticists and pragmatic EU states more keen on economic development and the health and safety of their countries than in defending a bankrupt declining USA Superpower. Hungarian Prime Minister Orbán was in Turkey for no casual photo op. He was there to talk business, economic business. He brought with him half of his cabinet and around 70 business leaders to discuss areas of increased bilateral economic cooperation. Orbán also met privately with Turkish President Erdogan and Prime Minister Binali Yildirim. Though it was played down in media releases, a central issue discussed in Ankara was the prospect of Russian natural gas imports via Turkey’s Turkish Stream gas pipeline. With the legally dubious new US sanctions bill targeting European companies investing in the Russian-German Nord Stream II gas pipeline, which would bypass Ukraine, Russia is accelerating its priority to complete construction of its Turkish Stream gas pipeline from the already-built gas pumping station near Anapa in Southern Russia, going beneath the Black Sea, that will pass through Turkey to the Bulgarian and perhaps Greek borders. The latest incredibly foolish US Congressional sanctions, aiming as well at Iran and North Korea, punish German and Austrian companies investing in the northern EU Nord Stream II pipeline from near St Petersburg, claiming it’s illegal under international law for a US President to sanction companies outside their territorial jurisdiction, legally termed extra-territoriality. The announcement of new sanctions aimed at Nord Stream II has led Russia to accelerate laying of its Black Sea Turkish Stream line, currently running ahead of plan. Gazprom contractor Swiss Allseas has laid about 15 miles of the pipeline under the Black Sea since May. The first of two parallel pipelines is due to open in March 2018, the second in 1919. The annual capacity of each leg is estimated to reach 15.75 billion cubic meters of natural gas or a total of almost 32 bcm for both. In early July newly elected Bulgarian Prime Minister Boyko Borisov announced that he intended to sign an agreement on transit of gas from the Russian-Turkish Turkish Stream pipeline. He also signed an agreement with neighbor Serbia, not an EU member– and not likely ever to become one because of her strong ties with Russia among other things. Under the new agreement, Serbia will ultimately receive 10 billion cubic meters of Gazprom Turkish gas. On June 29 as Prime Minister Aleksandar Vučić took the office of Serbian President, Ana Brnabic became Prime Minister. She told Parliament that she would seek a “balanced foreign policy” and her government would especially seek good relations with Russia and China. Serbia’s new Defense Minister, Alexandar Vulin, was bitterly opposed by Washington among other things for his known pro-Russian orientation. Aleksandar Vučić himself met with Vladimir Putin the week before his election as President and reaffirmed the close relations between Russia and Serbia. On July 5, Hungary’s government also signed an agreement to receive gas from Turkish stream. Earlier this year Russia’s President went to Budapest where he and Prime Minister Orbán discussed Hungarian participation in Turkish Stream as well as Russian construction of nuclear plants in Hungary. At the World Oil Congress on July 9-11 in Istanbul Turkish President Recep Tayyip Erdoğan made clear that Turkey aims to become an energy hub between east and west, north and south. In short all the elements of a major new realignment are coming together between Balkan states, Russia and Turkey. In December 2014 after the Brussels EU Commission, backed by Washington, pressured the Bulgarian government to cancel the agreement to land Gazprom gas via the South Stream pipeline to the Bulgarian port of Burgas, Russian President Putin announced that South Stream was dead. At the same time Russia began negotiations with Turkey on the Turkish Stream alternative. To avoid punitive EU laws, Gazprom’s Turkish Stream pipeline passing through Turkey will end at the Turkish-Bulgarian border, with the second possibly ending at Lüleburgaz in the Marmara region of Turkey, close to Turkey’s border with Greece. From there it would be up to the purchasing countries to contract their own pipelines and construct them for the use of the Turkish Stream. EU law forbids Gazprom from building and operating its own gas pipelines inside the EU. In recent months as Brussels EU policies become more and more onerous, the countries of eastern Europe, especially Hungary, Czech Republic and Bulgaria have turned their sights eastward to Eurasia and especially Russia and China and their growing infrastructure investments in OBOR and other Eurasian infrastructure networks. In February 2017 during a visit of Russian President Putin to Budapest, Hungary signed a $17 billion contract with the Rosatom Group, Russia’s state nuclear power company for construction of two reactors at Paks Nuclear Power Station, the only nuclear plant in the country. Russia also has 51% stake in a Czech project company, Nuclear Power Alliance, together with Czech Skoda JS that will bid for several planned Czech nuclear plants. The latest Czech national energy plan views nuclear electricity as a safe way to meet EU CO2 emission reduction targets as does Hungary. The Turkish government has also chosen Russia’s Rosatom to build its first nuclear power plant, the Akkuyu NPP, with four reactors near the Mediterranean in southern Turkey across from Cyprus. The first unit costing $20 billion is being built by a Russian-Turkish consortium together with the Turkish construction group, Cengiz-Kalyon-Kolin (CKK). It will be operational in 2023. Today, as the USA and most of Western Europe have frozen investment in nuclear power technology and has lost qualified trained manpower, Russia emerges as the world leader in export of nuclear technology with over 60% of the global market. The significance of these natural gas and nuclear electricity deals by Russia with Hungary, the Czech Republic, Serbia, Bulgaria and Turkey are creating the horror of Washington, a shift of a disillusioned Baltic region from a politically bankrupt Brussels EU and a Germany which has lost its bearings. Notable in this context is the latest confirmation by Turkish President Recep Tayyip Erdoğan of the $2.4 billion purchase of several units of the advanced Russia’s S-400 anti-aircraft defense systems, despite fierce efforts by the Trump Administration and by NATO to stop it. The advanced S-400 is considered by military experts as the most capable and lethal long-range air defense missile system on the planet, far more formidable than the US Patriot system that Washington wanted to have Turkey buy. The fact that now several nations of the Balkans are clearly upgrading their economic relations with Russia and with Turkey underscores the reality of a European Dis-union rather than the promised European Union. The foolish EU Commission decision to take Hungary, the Czech Republic and Poland to EU court for rejecting mandatory Brussels refugee quotas has also widened the divide between the EU east and the west. Top-down political constructions such as today’s EU and all its anti-democratic institutions such as the EU Commission and the European Parliament which stomp on basic national sovereign rights, much like sado-masochistic personal relations, are inherently unviable. As the last quarter century of experience with Washington as the world Sole Superpower since the collapse of the Soviet Union demonstrate, Top Dog-Under-Dog is no viable model for healthy peaceful international relations. The hysterical sound of who is most loudly barking says it all.